Kalmar is a pretty town on the Swedish Baltic coast. It has a spectacular Renaissance castle on a site that was of strategic importance for many centuries, starting about 800 years ago. 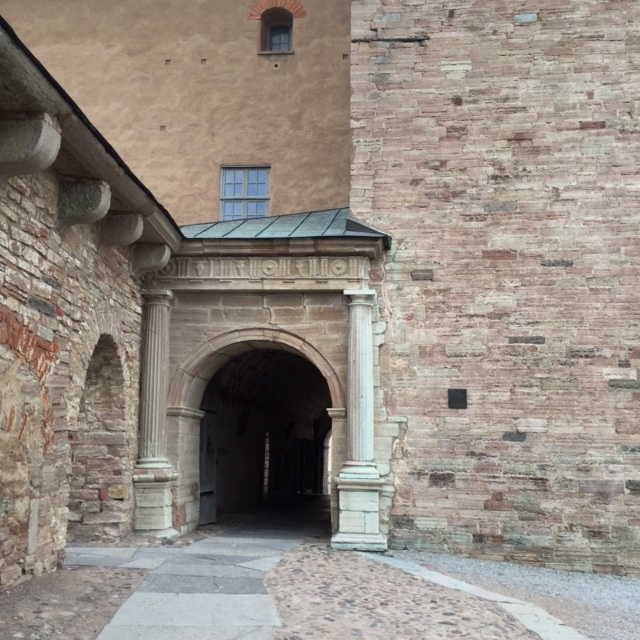 Naturally, it has spectacular doorways, beginning with the dry-moated entrance. 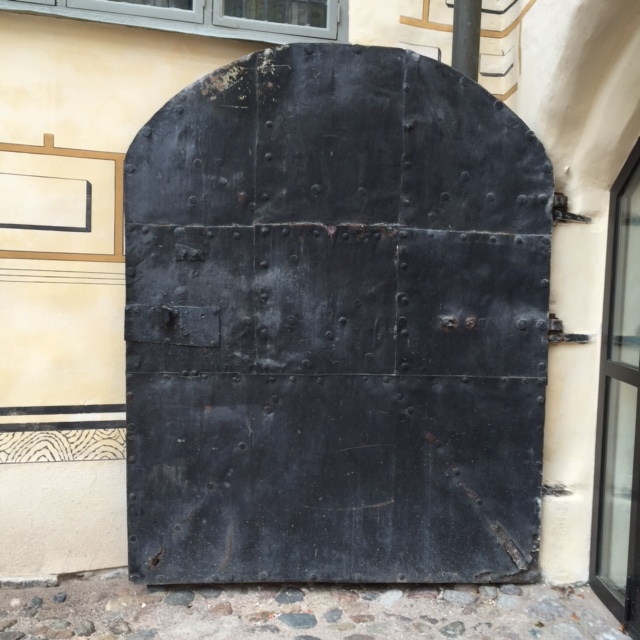 Some of the doors are clearly defensive. Some are more decorative, but still formidable. 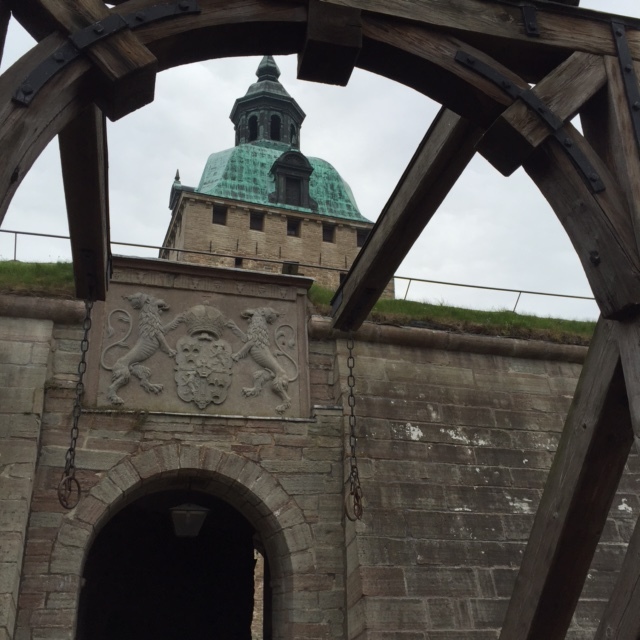 Some are meant to impress and possibly intimidate, like the one just past the drawbridge. 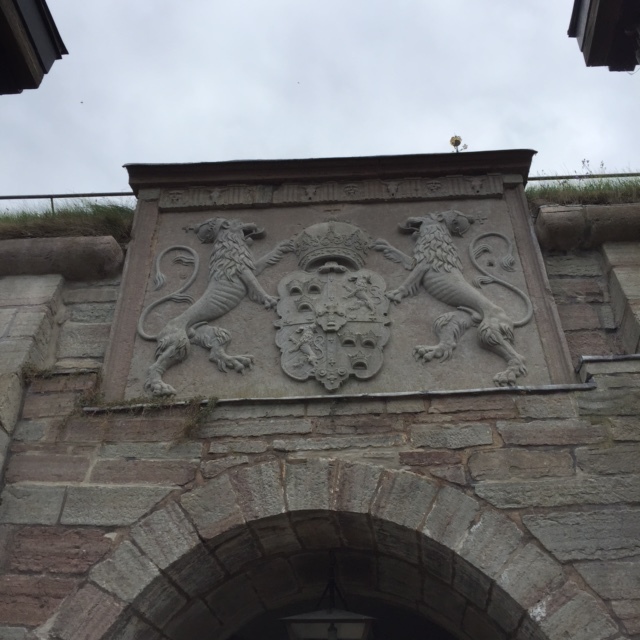 This door features the regal lions of Sweden. 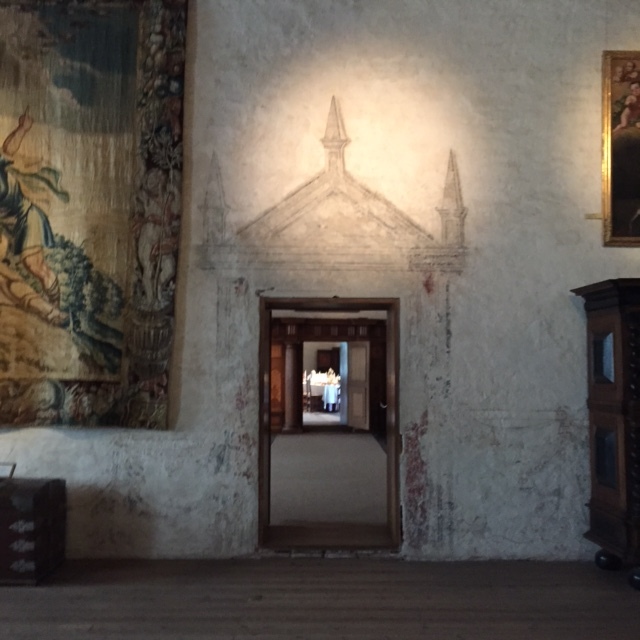 Inside, doorways reflect the luxurious tastes of kings and queens. 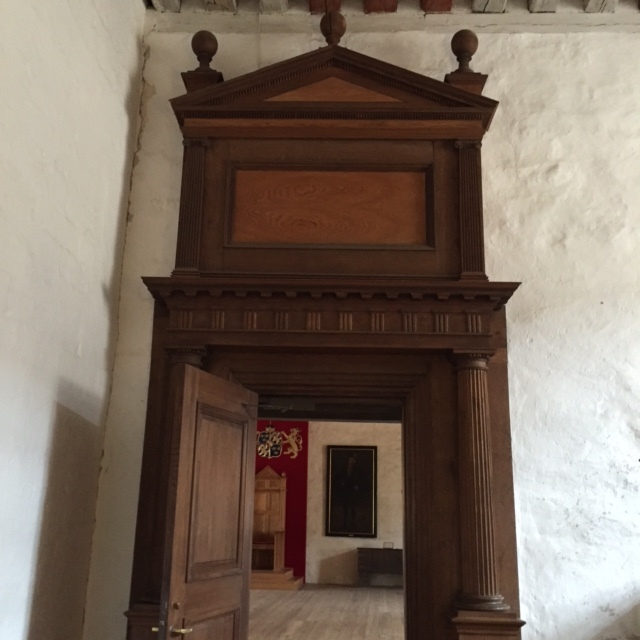 The doorways of Kalmar Castle are all worth entering. Everything is more spare than Renaissance castles and palaces in England, Austria, Germany, France or other European countries. But that very spareness has its own Nordic elegance. 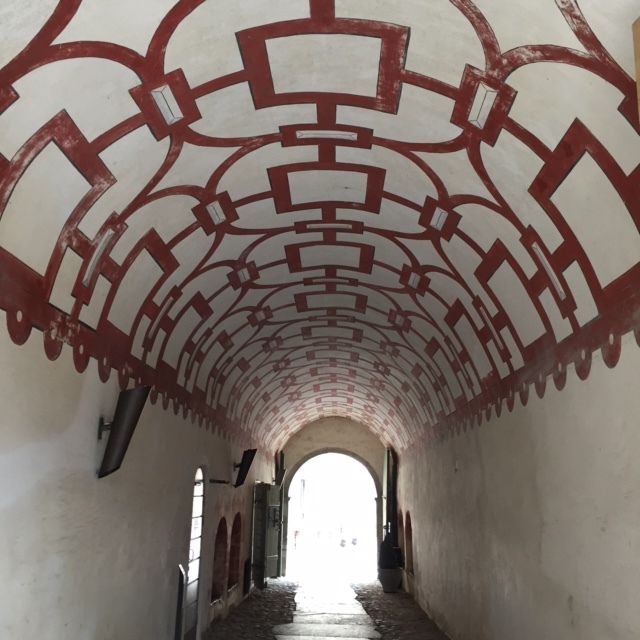 The castle is a fascinating look at the unique ways that Renaissance ideas played out in Scandinavia. The shop has books about Elizabeth I and Mary Queen of Scots, apparently because most of the major rebuilding and decoration of the castle was done during their lifetimes. And at least one Swedish prince was known to have courted Elizabeth I. Of course, we all know that she said “No!” to marriage. But at the time, Sweden was a great naval power. I wonder if Elizabeth gave some serious thought to a Swedish alliance. How might history have been different if she had said “Yes!” to a Swedish prince? Castle doorways always lead me to questions like this. It’s why I travel. 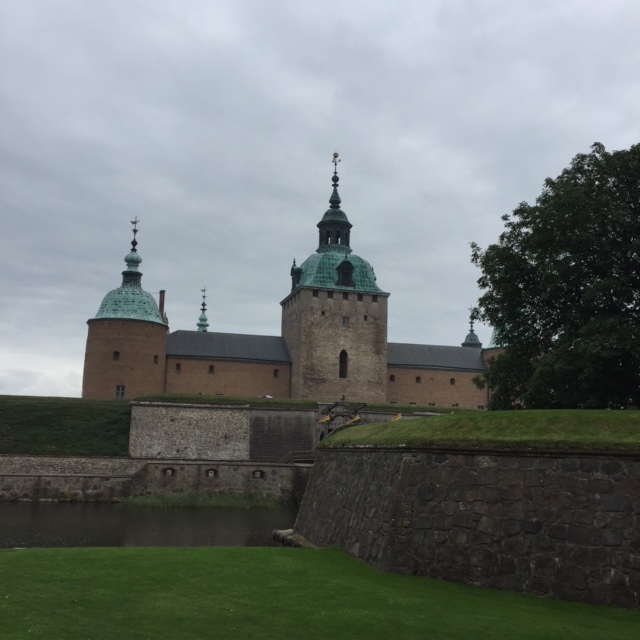 This entry was posted in British Isles, Castles and Palaces, England, Historic Homes, Historical Figures, Scandinavia, Why I Love Sweden and tagged Kalmar Castle, Mary Queen of Scots, Queen Elizabeth I on September 8, 2016 by Claudia Suzan Carley. 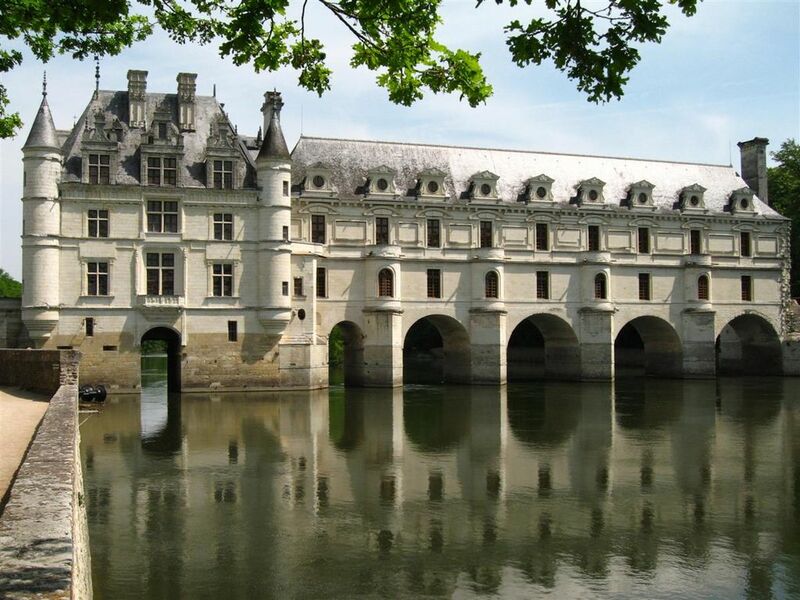 When Diane de Poitiers arrived at Chenonceau in 1547, things were going her way. At around age 35, she was already a widow left wealthy when her much older husband conveniently died and left her a fortune. She moved easily in court circles and soon became the mistress of the 16-year-old King Henri II, who gave her Chenonceau as a residence. 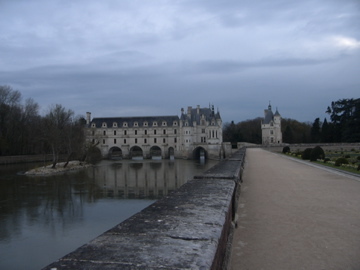 Diane loved Chenonceau. She was the undisputed occupant, but it took her a number of years to persuade the King to give it to her outright. In the meantime, she called in the best architects and builders. Money was no problem. First off, she greatly expanded the beautiful pleasure gardens. The gardens were just gardens like many others, but Diane had a truly brilliant idea: she expanded her living space by building an arched bridge, with rooms, that crossed the River Cher. Later additions, some by Diane and some by others, expanded on that idea and created the chateau we see today. I think Henri looks very suave in this portrait. Where have I seen that sly, knowing look? Of course! 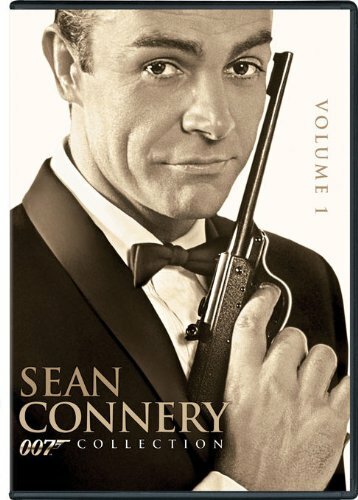 The very worldly James Bond, played by Sean Connery, had the same expression. Just saying. Anyway, Henri certainly knew what he liked, and as King he had the wherewithal to get it. 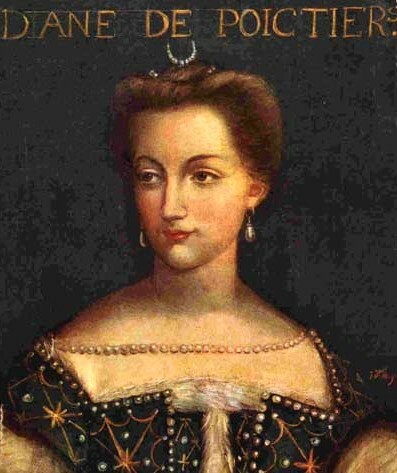 Diane de Poitiers was famous as one of the most beautiful and accomplished women of her age, and the King depended on her advice throughout his life. She had rivals; naturally the King took other mistresses, but she was his closest and most trusted companion throughout his life. She became the most powerful woman in France. This did not sit well with Catherine de Medici, Henri’s wife and the mother of his three sons who became subsequent kings. (She also had several daughters). 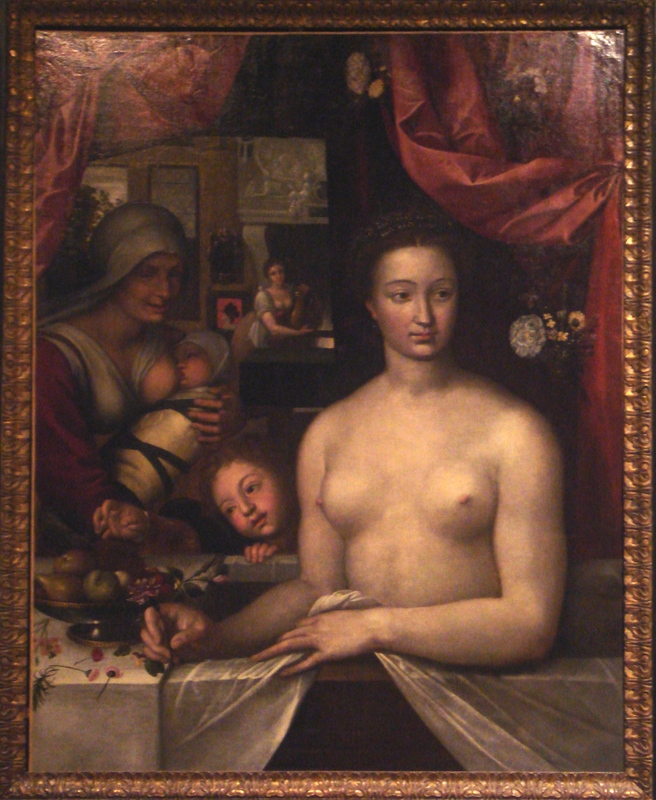 The stern portrait above was painted when Catherine was still a comparatively young wife. Once she became a widow, she draped herself in black at all times and looked even more forbidding. I would not care to tangle with her. Henri lavished favors and property on Diane de Poitiers. She was clearly quite the babe, as well as being smart and witty. She retained her beauty all through her long life, too. During his lifetime, Henri expected his dutiful wife Catherine to stay at home and keep quiet. She really had no choice while he was alive. But things changed suddenly. 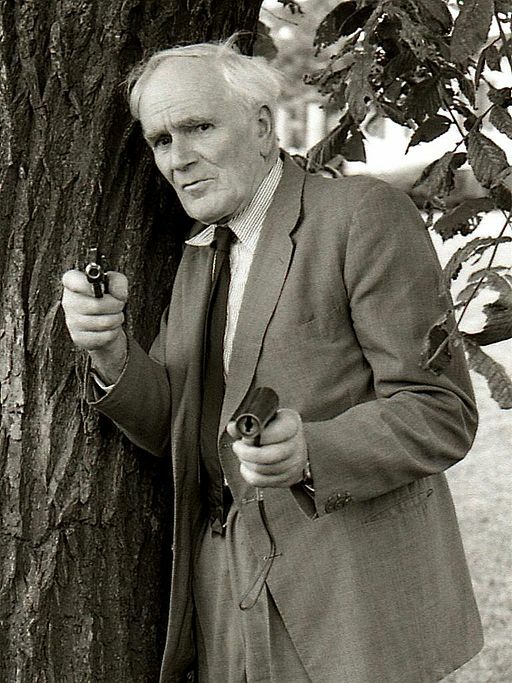 Since I’ve brought up James Bond, I can’t resist: what Henri needed was a guy like “Q,” who in the movies patiently explained weapons and prudent tactics to an impatient James Bond. Maybe nobody like “Q” had Henri’s back. 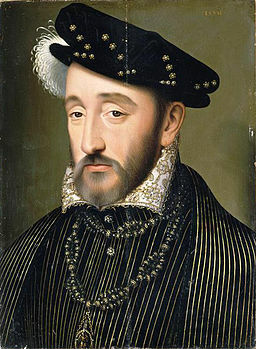 In 1559, when he was just 40, poor Henri got knocked in the head in a jousting accident. His wound became infected and he died 10 days later. His heir the Dauphin was a sickly young son, age 15. The Dauphin was already married to Mary Queen of Scots. But he died 18 months later and Mary Queen of Scots was sent back to Scotland, never becoming Mary Queen of France. The two remaining sons were not good King material, but they were all that Catherine as Regent had to work with. Of course she was not allowed to become Queen in her own right. It was quite an accomplishment to even keep her sons on the throne. Things went from bad to worse. 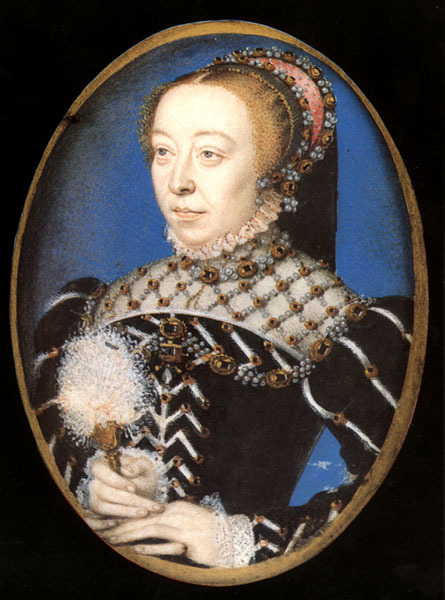 France was torn apart by civil and religious struggle all through Catherine’s life. Although she made valiant efforts to govern the country, she made a lot of mistakes and her weak sons were not much help. The French Wars of Religion continued, causing massive carnage as Protestants and Catholics fought each other bitterly. Catherine’s life was not easy. But there was great consolation in one thing: once Henri was in the ground, she lost no time in booting her chief rival, Diane de Poitiers, out of Chenonceau. Catherine took over the place, made extensive additions, threw spectacular parties, and relished her time there. Who wouldn’t? 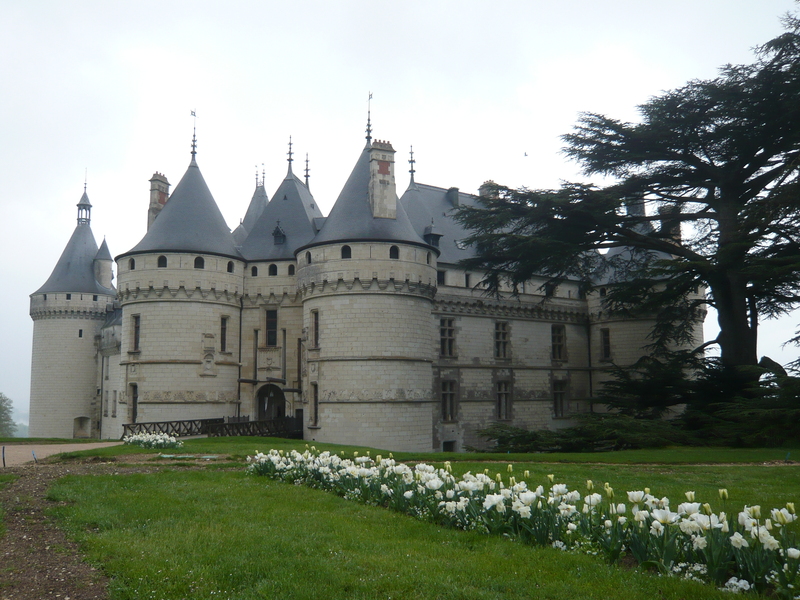 As a consolation prize, Catherine grudgingly gave Diane another chateau, Chaumont. It’s a very nice place–I’d cheerfully live there. But it’s high above a river, not draped like an exquisite necklace right across a river. Diane had plenty of other properties, too. She lived in comfort for the rest of her life. But she must have missed her glory days at Chenonceau. This entry was posted in Castles and Palaces, France, Historical Figures, History, Why I Love France and tagged "Q", Agent 007, Catherine de Medici, Chateau de Chaumont, Chateau de Chenonceau, Desmond Llewelyn, Diane de Poitiers, James Bond, King Henri II, Mary Queen of Scots, Sean Connery on June 15, 2015 by Claudia Suzan Carley.